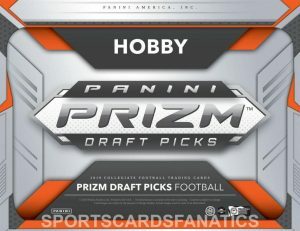 2019 Panini Prizm Draft Picks - Football Card Checklist	Overall rating:	2	out of 5 based on 1	reviews. 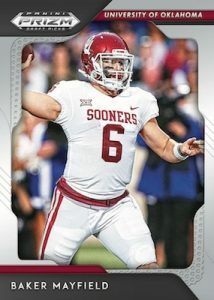 2019 Panini Prizm Draft Picks Football is a product that is centered on upcoming NFL Draft Picks, as well as rookies from recent drafts. The set has a small checklist, but still manages to provide a mix of autographs, parallels, and inserts. 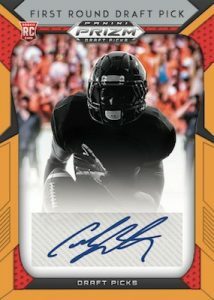 Panini has ensured that customers are sure to get something, as each of the box’s 5 packs is guaranteed to have an autograph. However this is a bit of a pricey release, especially for undrafted players, so it is buyer beware on this one.